Lancashire Care Foundation Trust has confirmed that Rydon Maintenance - a subsidiary of the Rydon Group - currentlyprovides facilities management to around 780 buildings on behalf of the Trust including Guild Lodge in Preston and the Harbour in Blackpool. A group which refurbished the London tower block devastated by a huge inferno was contracted to carry out fire safety services in hundreds of NHS buildings across Lancashire, it has been revealed. Questions have been raised by residents of Grenfell Towers over the safety of the cladding installed by Rydon Construction following the fire which killed at least 17 people on June 14. But the construction firm, which carried out the £8.6m refurb at the 27-storey building, said it had "met all required building control, fire regulation, and health and safety standards". Fire Services say that the cause of the huge blaze in north Kensington is still under investigation and is not yet known. Lancashire Care Foundation Trust has confirmed that Rydon Maintenance - a subsidiary of the Rydon Group - currently provides facilities management to around 780 buildings on behalf of the Trust including Guild Lodge in Preston and the Harbour in Blackpool. Rydon Maintenance, which won the contract in 2010, is responsible for fire and fire safety in mental health facilities and community health centres across the county. 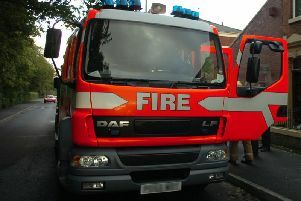 According to Rydon Maintenance, the company provides a full time fire officer and four part time fire advisors who manage the fire safety aspects of the 'whole Lancashire Care Foundation Trust portfolio'. The business also carries out estates maintenance, energy and utilities management, a 24-hour helpdesk and pest control services across a wide range of mental health facilities and community health centres. Another subsidiary of the Rydon Group, Rhyhurst was involved in the building of Blackpool's flagship mental health service facility The Harbour that opened in 2015. Rhyhurst partnered Lancashire Care Foundation Trust in a Joint Venture providing project management and reviews of funding options, says the Trust. A spokesman for Lancashire Care Trust said: "Lancashire Care has a facilities management contract with Rydon Maintenance LTD, which is a subsidiary of Rydon Group and separate to Rydon Construction. "The contract was awarded in 2010 and expires this October, as such the Trust is currently in the process of re-tendering for this contract. This process began several months ago and is part of our practice to market test contracts when they are due to expire. "The Trust has robust processes in place to ensure that all of its contractors meet the required standards. "We can confirm that The Harbour is safe, it is predominantly a single storey building with all patient accommodation on the ground floor. "There is a small proportion of the building on the first floor providing offices and meeting rooms for staff. It went through rigorous safety checks with the input of Blackpool Borough Council’s Building Control." Bosses at the Rydon Group have expressed their shock and dismay at the fire. Robert Bond, CEO, Rydon Group said: "We were shocked to hear of the devastating fire at Grenfell Tower and our immediate thoughts are with those that have been affected by the incident, their families, relatives and friends. "The project met all required building regulations and handover took place when the completion notice was issued by the Department of Building Control, the Royal Borough of Kensington and Chelsea. The cause of the fire at Grenfell Towers is under investigation.